I followed a link to Huffington Post today, and one of the trending topics there is going green. There were a variety of different articles on the subject, including a feature on Ashton Kurcher and Demi More doing a Master Cleanse. Well, Hollywood stars have always wanted to stay in shape and look good, which is why the subtitle of Cherie’s book, The Raw Food Revolution Diet is Feast, Lose Weight, Gain Energy, and Feel Younger. Who wouldn’t want that? 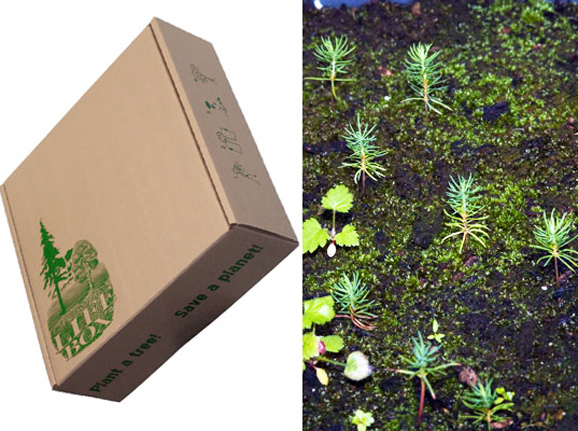 “Tree Life Box” designed by mycologist Paul Stamets that helps plant trees, nurtured by fungal spores implanted along with tree seeds in the recycled paper fiber box. Wow! Love Paul Stamets! He’s been consulted about solutions for restoring the Fort Bragg Mill Site, acres of beautiful coastal property here that definitely needs greening and remediation. kale and blueberries, have been added to the “dirty dozen” most dangerous foods to buy if they are not organic. The regular list of dangerous foods includes strawberries, peaches, apples, celery, bell peppers, spinach, cherries, and imported grapes and potatoes. Which is one of the reason we always use organic produce here at Living Light. So the world is waking up, little by little. We are lucky that we already have a head start by including more raw foods in our diets. 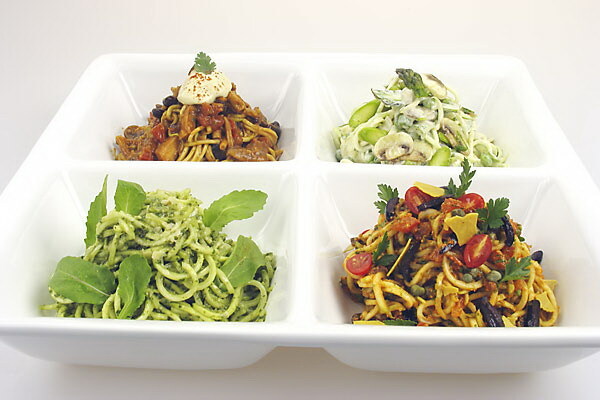 A plant based diet helps protect the environment as well as our personal body ecology. We have some great books and films about these subjects in our Marketplace store. More coming out everyday. It’s the raw food revolution, and it’s helping us make the changes we want to see in the world. If you want to learn how to make plant based recipes that taste amazing, don’t forget the Living Light Chef Showcase, Hot Chefs, Cool Kitchen. We’ve seen the future and it is us! Entry filed under: Books, Chef Showcase, Gourmet Raw Food Chef, Living Light Chef Showcase, Living Light Culinary Arts Institute, Organic Gardening. Tags: cherie soria, City of Fort Bragg, gourmet raw foods, kristin suratt, Living Light Culinary Arts Institute, Living Light events, Mendocino Coast Botanical Gardens, raw food chef, Raw Food Revolution Diet.